Hydro jetting is the preferred method for cleaning out water pipes, sewer and drain lines and more. But, if you have an older home with older pipes, the hydro jetting method may end up damaging your pipes. In this instance, we would recommend using plumbing snakes (aka drain snakes) to clear out any clog caused by debris in your water pipes. This is not to say that a plumbing snake would not damage an older pipe system - but the chances are less likely. Your plumber can give you more information on your specific situation. Read our article on When Should Water Pipes Be Replaced? Hydro Jetting (aka Water Jetting) is an effective technique used in cleaning the downspouts, drains, pipes and sewer lines using maximal water pressure to unclog debris and buildup that accumulates over time. 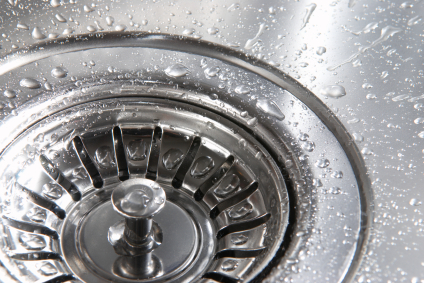 The process involves water being forced down the drain where it pushes down any grease, mineral build-up, hair and any other debris through the drain. But this is not just some normal or even just above normal water pressure being used. The amount of water pressure is extremely powerful and is normally between 1,500 to 4,000 psi. Compare that to the amount of water pressure from a garden hose which ranges anywhere from 40 to 60 psi. Here at Atlantis Plumbing we use different jetting equipment for different jobs. To clean out main sewer lines the jetters we use are 4000 psi at 18gpm. This is typically for main sewer lines, storm drains, gutter drains, removing roots from lines, grease blockages, sludge, small gravel, etc. For smaller lines that are 4 inches or less (like kitchen drains) the jetters we use are 4000 PSI at 5gpm. There are no chemicals used in the process - only water. Making this a very environmentally friendly procedure. There's no "one size fits all" scenario. The machine used in hydro jetting has multiple nozzles of different sizes and strengths allowing the plumber to choose the best option for your pipes. The force of water (up to 4,000 psi) can be very harmful to people and animals making hydro jetting a dangerous product to use for anyone who is not professionally trained. Please use a plumber who has worked with the machinery and understands how and when to use it. Hydro jetting was first invented in the 1950's. Because hydro jetting does such a thorough job of clearing out sewer pipes, the instances of recurrence are much less. Is Hydro Jetting Safe For Pipes? Generally speaking, the hydro jetting process is safe for water pipes except if the water pipe has been damaged (has a crack or is compromised in some other way). And also if it's an older pipe (which is often found in older homes). Before a hydro jetting service, our plumbers check the pipes with a small camera to ensure that the system can withstand the force from the water pressure. What does Hydro Jetting Cost? There are several factors that can change the cost of any plumbing service but generally speaking, hydro jetting can range anywhere from $250.00 to $400.00. This cost is slighly higher than the traditional snake drain service but it will give you a cleaner pipe which can prevent future clogs from occurring sooner. Our process of hydro jetting is fairly simple. First, we use a small camera to inspect the pipes that we will be cleaning out to ensure that they can withstand the force of the hydro jet. We then insert the hydro jet hose (which is connected to a tank of water) into the pipe or cleanout. When we feel the hose is inserted well, we turn on the machine and let the water pressure from the hydro jet do it's job. Overall, we do recommend this method of clearing out your water pipes vs. the traditional drain snake method, if it's possible in your specific situation. It is generally a safe and extremely effective process. If you have any questions about hydro jetting, call Atlantis Plumbing today at 770-505-8570. We are available 24 hours a day, 7 days a week.